When I was a kid one of the few things my dad cooked was pancakes, an event that tended to happen on Sunday mornings, but infrequently enough that it was still cause for excitement. As with a lot of men of his generation, making pancakes (along with barbecuing) was one of the few cooking tasks that fell within his domain, which makes me wonder what there’s something about using a spatula that makes it more masculine than other kitchen tasks. Be that as it may, and though those pancakes probably came out of a box mix and were drowned in low-grade supermarket syrup, they’ve become a kind of benchmark for me—both of this weekend breakfast staple in particular, and of fatherhood in general. It’s little wonder then that as Alfredo and I explore the possibility of fatherhood I would suddenly find myself with pancakes on the brain (see posting of April 16th). I have no other explanation as the dish is one I only occasionally have a taste for, and even then try to talk myself out of—for the simple reason that I know how crummy I’ll feel once I’m done (white flour is definitely not my friend). This time was different, however, both for the fatherhood thing mentioned above (I’ll share more on this once I have something concrete to report) and because of the recipe presented below. Unlike most versions I’ve tried (and the box mix I grew up eating) there is no white flour involved here, which means the finished product is both nuttier in flavor and more rustic in texture than the pancake standard. 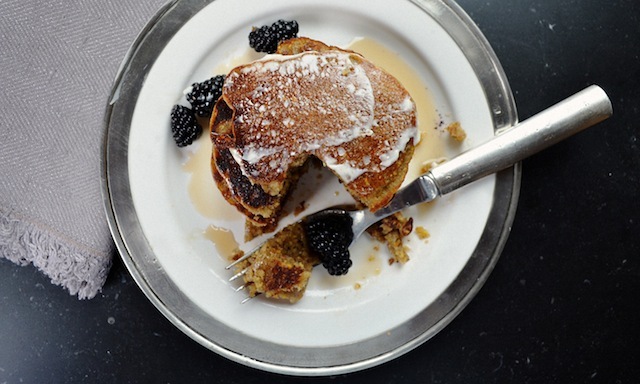 Perhaps that’s why Blackberry Farm in Walland, TN (who shared the recipe with Bon Appétit for their May issue) calls them “griddle cakes”—a phrase that for me tends to conjure images of cowboys cooking over an open flame. 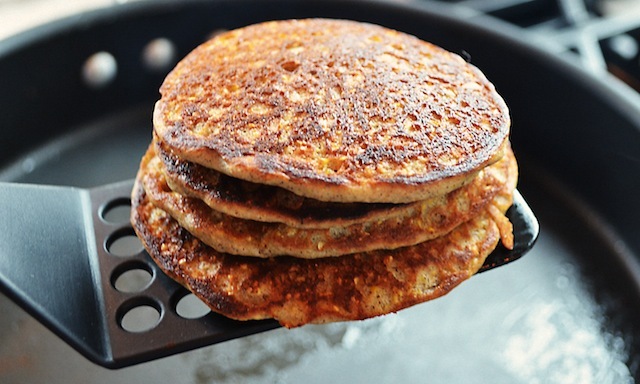 While I’m sure the campfire approach would yield terrific results, the only requirement where these pancakes/griddle cakes are concerned is locating items such as gluten-free oat flour, buckwheat flour, and brown rice flour, all of which can be found at natural foods store, some supermarkets (I found everything at my neighborhood Whole Foods), or here. Of course, in addition to the flavor and textural qualities mentioned above, these ingredients also qualify as gluten-free, which for some may be an added incentive to give them a try. 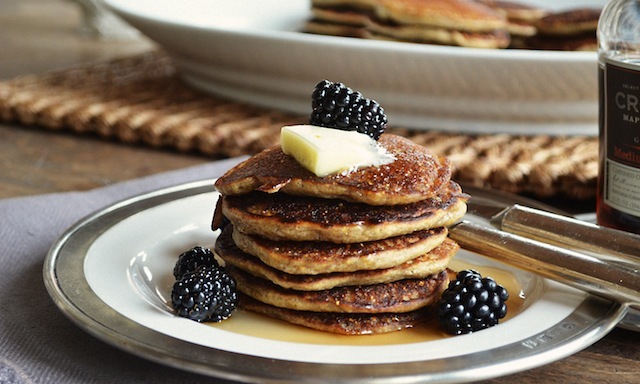 Personally, I do not adhere to a gluten-free regime (though based on how I feel after eating white flour maybe I should) but I can report that after eating a very large stack of these I did not feel as though I needed to take a nap—a sensation I tend to encounter after pancake consumption. Perhaps more importantly, however, it was that nutty quality I mentioned that kept me coming back for another mouthful, and another. 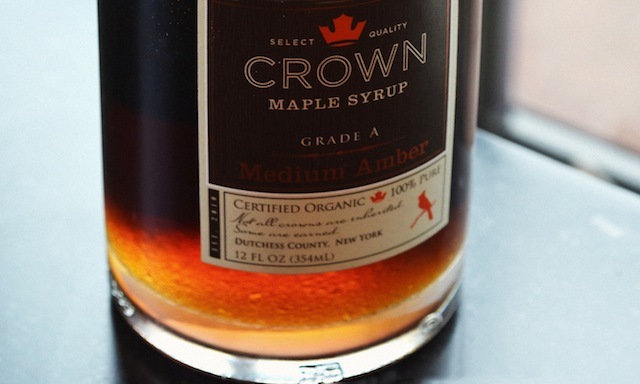 This is worth underscoring since with the standard variety its the butter and syrup that tends to be the pull once pancake fatigue sets in (which for me usually occurs midway through the short stack I’ve ordered). 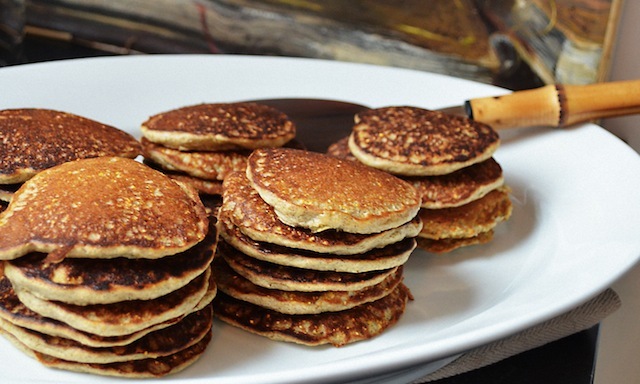 In other words, while these are just as homey as any pancake you’d encounter at a coffee shop, by virtue of their more rustic ingredients I also found them to be lighter with a more interesting flavor. And, like all pancakes, they’re fun to cook. That said, make sure your pan is good and hot before brushing it with oil and pouring in the batter, as the pancakes require a super hot skillet to set up sufficiently. Follow this instruction and the cooking times offered by the recipe (3 minutes on the first side, 2 minutes on the second) will do the trick, though if you prefer a visual cue, as a rule the pancakes can be flipped when the edges take on a brownish tinge and the surface looks lumpy and a little dry. Though not stipulated by the cooking instructions, I also found it best to brush the pan with oil (again, lightly) between each batch, just to ensure the pancakes don’t stick when it comes time to flip them. Additionally, the cooked pancakes can be held in a warm oven until all the batter has made its way into the pan. Although BA indicates that the recipe serves 6, unless the pancakes are accompanied by rashers of bacon and large helpings of scrambled eggs, I’d argue that 4 servings is probably more like it. The pancakes aren’t particularly big (use a ¼ cup batter for each as indicated and you end up with a pancake about 3 inches in diameter), nor does the recipe produce all that many (I counted just 27), so if you’re feeding a crowd or a number of big eaters you may want to serve a few other items as well, or double the recipe. After all, while making you sleepy should not be part of the pancake-eating experience, nor should leaving the table hungry. 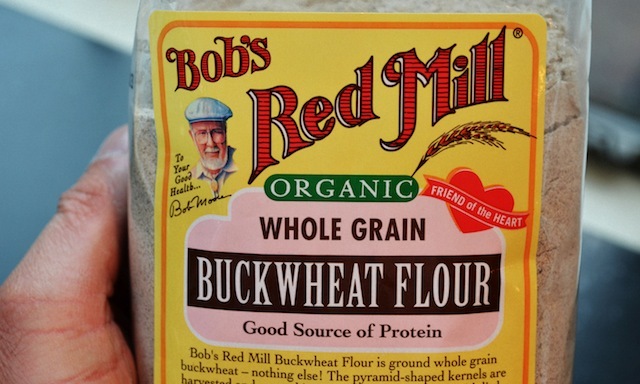 Note: Gluten-free oat flour, buckwheat flour, and brown rice flour can be found at natural foods and specialty foods stores and at some supermarkets. 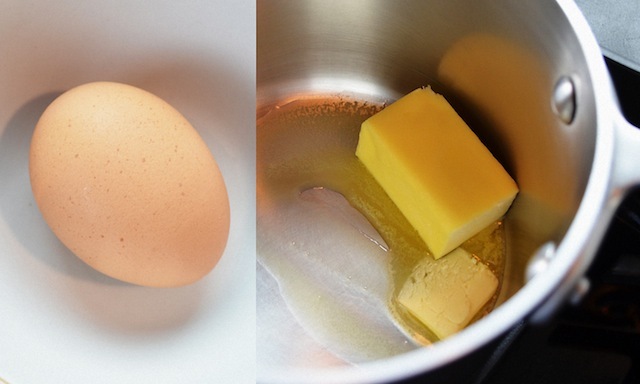 —Whisk egg, buttermilk, and maple syrup in a small bowl. —Whisk oat flour, cornmeal, rice flour, buckwheat flour, baking powder, baking soda, and salt in a large bowl. 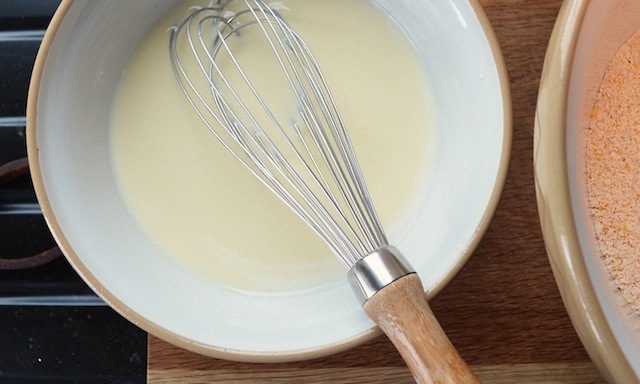 —Whisk buttermilk mixture into dry ingredients, then whisk in melted butter until no lumps remain. 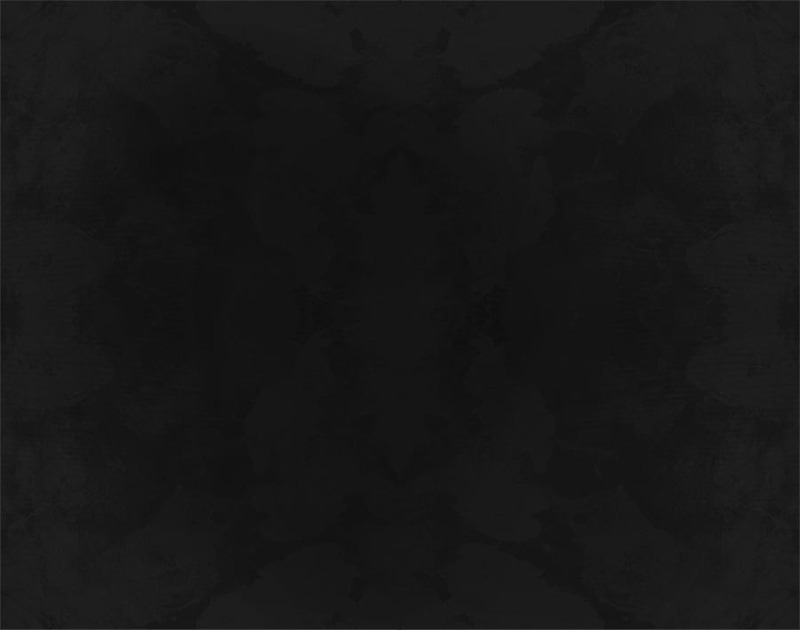 —Heat a large nonstick or cast-iron skillet over medium heat; lightly brush with oil. Working in batches, pour batter by 1/4-cupfuls into skillet. Cook until bottoms are browned and bubbles form on top of griddle cakes, about 3 minutes. 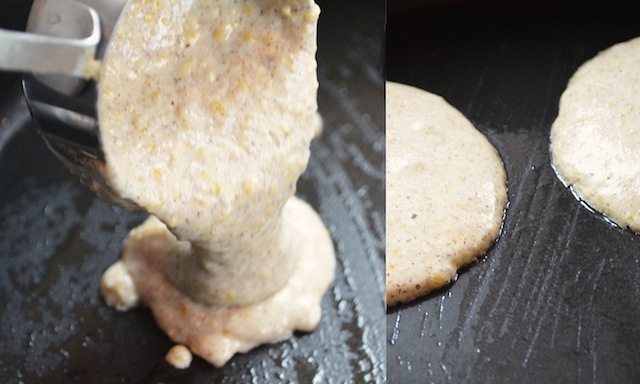 Flip and cook until griddle cakes are cooked through, about 2 minutes longer. (TRG note: Lightly brush skillet with oil between batches; cooked cakes can be kept warm in a low oven while you proceed with the rest of the batter; you’ll know the cakes are ready to flip when then edges look lightly browned, and top of the cake looks lumpy). Note: You can fast-track this recipe by tripling the dry ingredients and storing them in a jar. When ready to serve, scoop out 2¼ cups. All the other ingredients stay the same.